Our bodies are affected by so many things that are beyond our control. At the same time, our bodies are affected by several things that are within our control. We make choices every day – the food we eat, the movements (or lack thereof) we make, the products we directly put on our bodies and use in our homes. No, we cannot control everything, but there is so much that we can do to take our health in our own hands. These choices can make all the difference in how we feel. You owe it to yourself to make the best choices for your body. If you want to get more in tune with your own body, why not try a more natural health approach? Natural health can be an overwhelming term. I’m going to talk about it an awful lot on this blog, so let this post serve as an introductory guide. 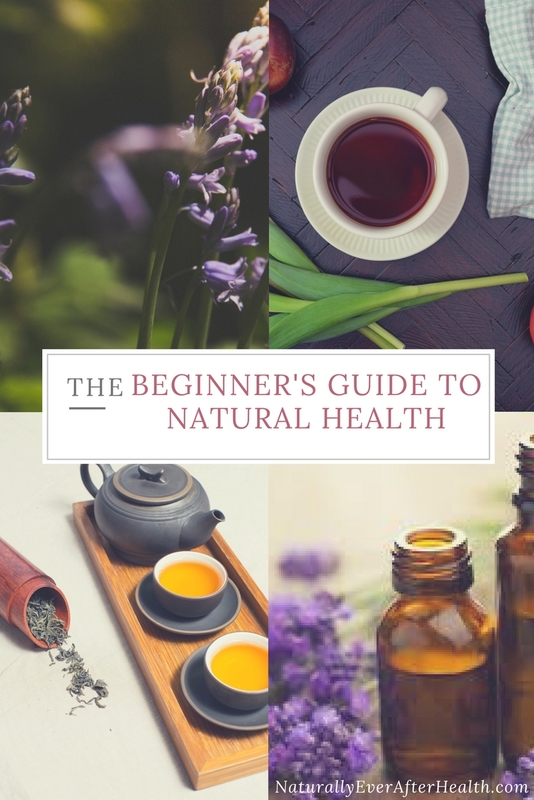 I’ll dive into what natural health really means and why it’s a viable lifestyle, then wrap up with a few easy steps for a gradual transition into living more naturally. 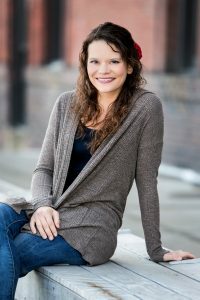 For more background on why I turned to natural health, check out my story here. Natural health is a self-care system that relies on natural therapies to build and restore health and wellness. Our bodies have the power to heal themselves. Natural health therapies work with the natural restorative powers of the human body. This form of alternative medicine turns to nature for the answers. Simple and inexpensive natural therapies can assist our bodies in promoting health, wellness and healing. Rather than treating one symptom or ailment, natural health aims to build and restore the whole body into a healthy balance, recognizing the mind-body connection. However, natural health does not attempt to treat serious infectious diseases or acute medical emergencies. Rather, natural remedies work to assist individuals going through these experiences by managing pain, both physical and emotional. Natural health is a self-care system that relies on natural therapies to build and restore health and wellness by working with the natural restorative powers of the human body. Our human psyche plays a large part in natural health because of our ability to make choices. Lifestyle factors are a huge contributor to physical and mental diseases. Plenty of studies show that stress, anxiety and our mental states have a physical impact on our health. Choosing natural health means choosing to take care of yourself. Self-care allows you to lead a vibrant, energetic life and enables you to give more to your relationships, your passions and your purpose. When we deprive ourselves of proper nutrition or frequent exercise, we set ourselves up for stress and disease. We can choose to take better care of ourselves. We can choose to live a positive, healthy lifestyle. We can choose to take responsibility for our health. This is my favorite part of the definition. Many of us focus on “restoring” health and wellness, meaning we wait until something is wrong to start taking care of ourselves. When we take proper care to build our health, we’re less likely to find ourselves in that situation. Natural health focuses largely on prevention. Implementing natural therapies into our lifestyles is the best thing we can do for ourselves to prevent stress and illness. For example – in my journey, I have learned which kind of stressful situations cause my IBS to flare up. If I’m going to be traveling, I make more of an effort to keep my body relaxed during the week before. I eat cleaner, do lighter exercise than usual, and make sure I get enough sleep every night. I used to have stomach aches and digestion issues in the days leading up to travel, but this extra dose of self-care helps counteract those effects and balance out my mind and body. We have to make efforts to build our health every day. It’s the best way, the only way, to give ourselves a chance at vitality. Natural therapies are designed to manipulate the body or mind-body connection. They are targeted at promoting health and wellness or healing and treating illness. While natural therapies are slow acting – they rely on the body’s innate healing abilities – when practiced regularly, they set you up for longevity. For example, you see several advertisements for supplements that offer instant weight loss. What you don’t see at first is how instantly you’ll regain the weight because you’re still eating the same junk and not exercising. The natural solution of eating whole foods and exercising regularly will take longer than the miracle drug, but once you make a habit of that lifestyle, your body will find its ideal balance and stay there for a lifetime. The definition of natural health excludes things like magic and faith, the things we cannot physically see in existence. But I like to argue that everyone’s form of stress management is different, and maybe spirituality does fall into your definition of natural health. I definitely turn to prayer in times of stress and classify the act of practicing faith as a natural health remedy for me. 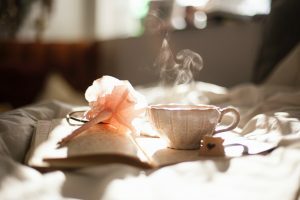 This blog will cover several ways to manage stress – I suggest being open to practicing different methods and sticking to what works best for you. Change is hard. There’s a reason why people have a tough time quitting smoking or “getting motivated” to exercise. Resistance will do everything in its power to keep us from getting uncomfortable. Start slow. Swap out one habit at a time. No matter how hard it is, practice that same healthy habit every day until your brain recognizes it as routine. Eventually, that resistance will wear off. Then, it’s time to try a new habit! Clear out the processed foods in your home. If that sounds too extreme, start with one food or meal at a time. Replace your cereal and breads with starchy vegetables like sweet potatoes. Start your day off with 10 minutes of light morning exercise. Add a walk in your day whenever you can. Move more! Swap out your cleaning products for products with natural ingredients. Instead of turning to sweets or alcohol when you’re stressed, try meditating or reading a book. Replace your sleeping pills with essential oils – place a couple drops of Lavender on your feet before bed or diffuse it in the bedroom. Swap highly-caffeinated energy drinks for organic coffee or black loose-leaf tea. My favorite take on the definition of natural health is that these therapies allow you to experience what your body is capable of. You get to know your body and how it heals itself, how it gains energy, without the help of harmful, unnatural techniques. Let’s get to know our bodies again and live the way we were meant to. Naturally Ever After will explore the natural therapies in several upcoming posts. 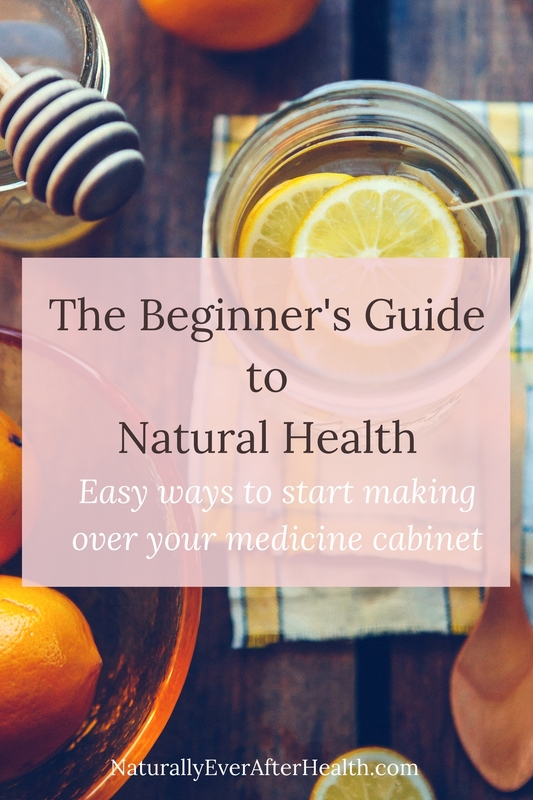 I hope this guide gives you a good starting point and some ideas, and I hope you’ll follow along for more ways to achieve a natural, healthy lifestyle. 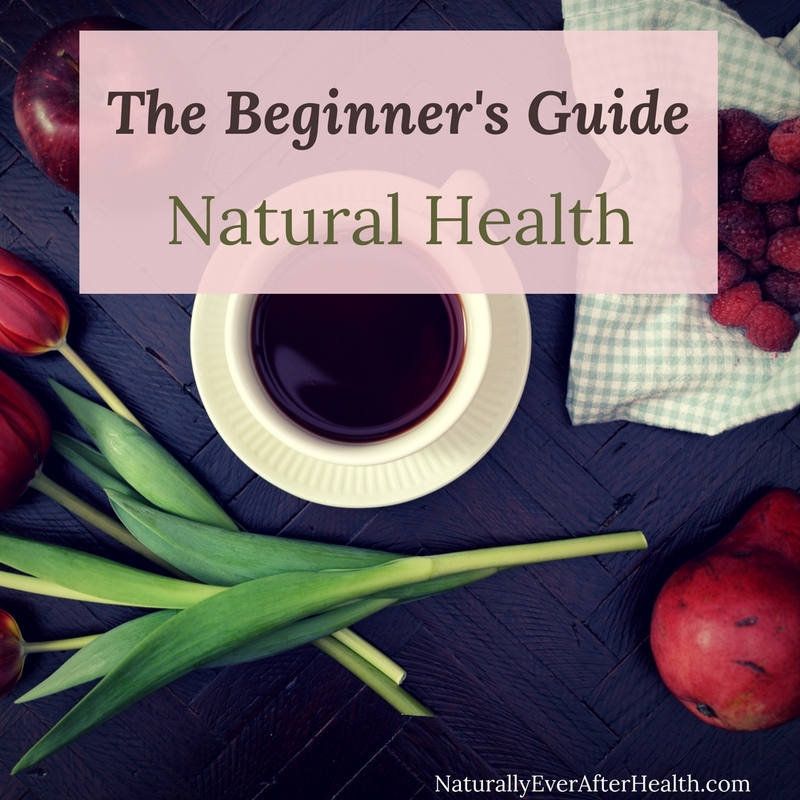 Want more tips on transitioning into a natural health lifestyle? Follow the Naturally Ever After Natural Health Solutions board on Pinterest! Do you practice natural health therapies? What are some of your favorites? Please share and leave a comment! Michelle, I love your list of small steps. Switching out just one meal for healthier food or light exercise every morning – those are things I should try. I think my favorite natural remedy I use is that when I’m starting to feel under the weather, like I might be getting sick, I just give myself permission to slow down. I get more sleep, lower my standards for housework and creative parenting, stick to the basics of keeping everyone fed, and stop dwelling on stressful things – or talk to my husband about them. I’ve recently started trying a lot more natural remedies, but this “slow down instead of taking medicine” trick has worked for me for 7 years of kids, 10 years of marriage and years of single life before that. I rarely take medicine and rarely get sick. That’s great self-care! Often times the reason we’re sick (at least for me) is because we’re run down from doing too much. We all need time to rest and regroup, rather than trying to power through and taking medicine to fix the symptoms. I’m sorry to hear you’re exhausted though, what he eat definitely helps and I know it can be challenging, but focusing on that good feeling that you can have on a regular basis might be a good incentive at each meal. I’m not sure if you’re a coffee drinker, but I’ve found that I have WAY more energy without it! Surprising, right? Of course, that’s not easy to give up either. Moderation is key in all things! Thanks for reading the blog, Alicia, and I really appreciate your input! I am however frequently exhausted and I don’t use natural remedies nearly as much as I want to. I feel better when I eat whole foods, but struggle to do it consistently.